Local, legacy craft brewery Redhook has partnered with the Seattle Sounders as the official craft brewery. This according to a press release at www.BrewClick.com. The extent of the relationship will still be discovered, but with Redhook celebrating their 30th anniversary it is a strong sign for the team and the brewery to have a partnership. While this is small news to me it is an advancement. The Sounders get a craft beer partner (money) and get better beer into Qwest/CenturyLink Field. One should expect Redhook ESB, LongHammer IPA, Copperhook and probably some beer inspired by the team, because why not? Sure there are smaller, craftier brews locally. But could they have afforded a sponsorship and navigated the legal issues with InBev’s relationship with MLS through Anheuser-Busch? 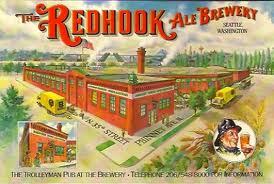 InBev has a distribution relationship with Redhook.